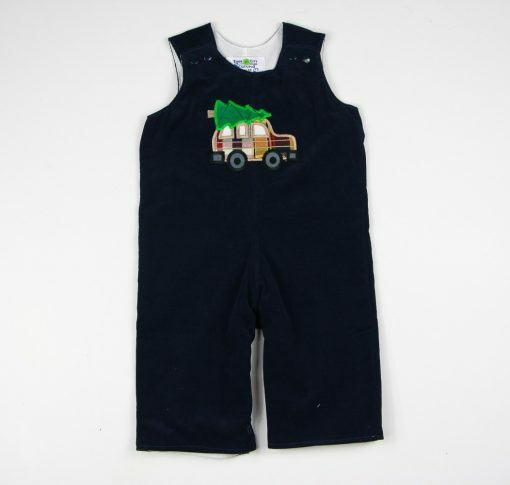 Our boys holiday romper is perfect for all winter season long! 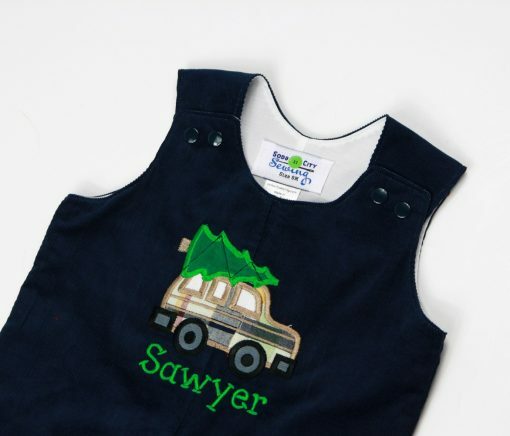 The soft navy corduroy fabric sports an appliqued station wagon toting the family Christmas Tree. 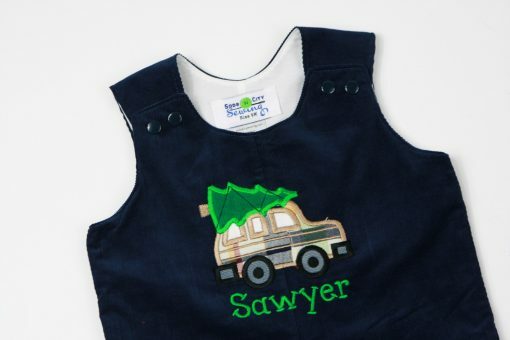 Wear it to find the Christmas Tree, to the Holiday Party, or opening presents from Santa! 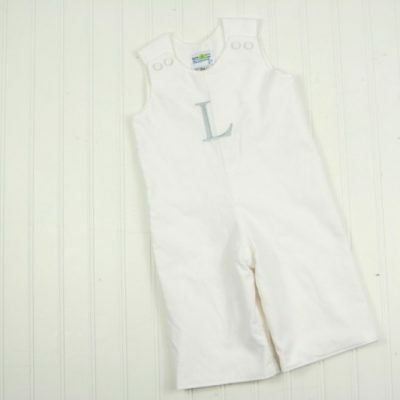 Our longalls have snaps at the crotch for easy diaper changes. Snaps at the shoulders get it on and off easily, and look so neat and clean! 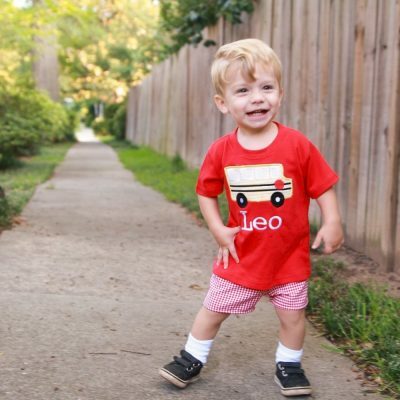 The best part about our outfits is that they are machine washable and dryer safe, so you can wear again and again without worry. 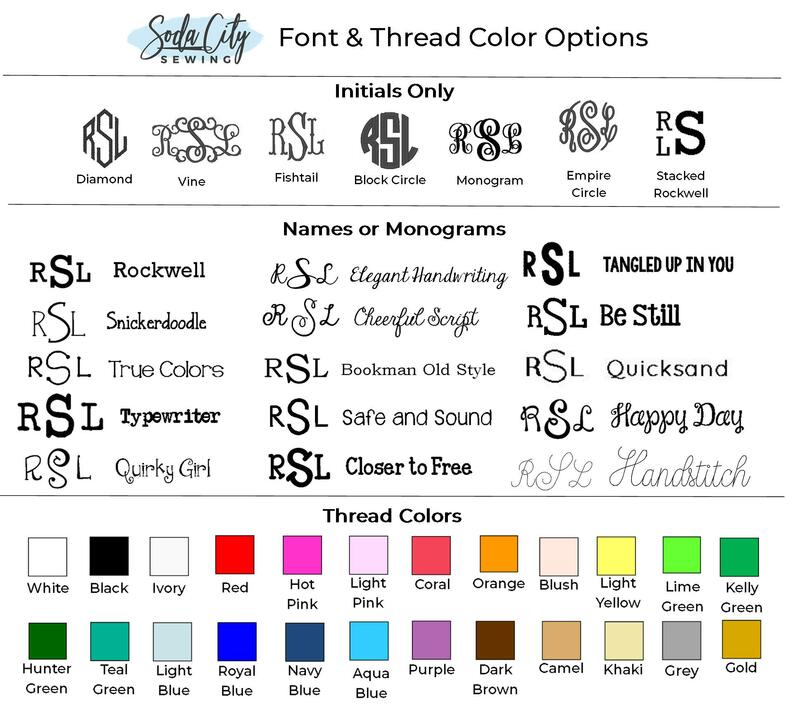 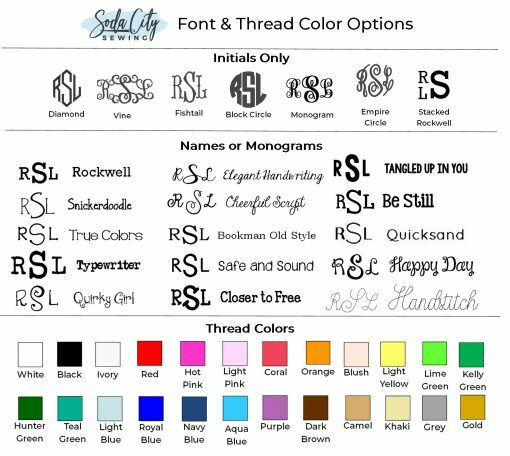 We professionally serge seams, topstitch, and use only the best fabrics so your outfit can stand up to a lot of wear and tear. 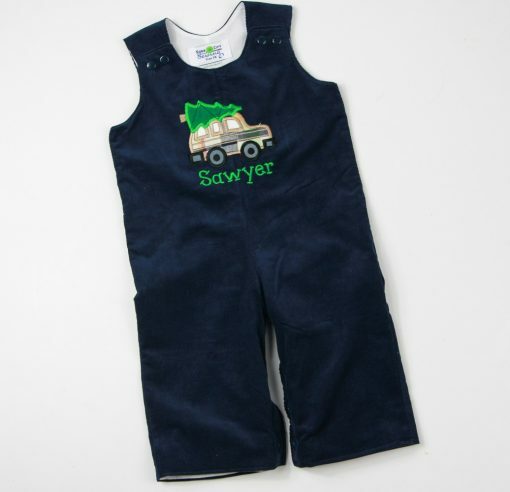 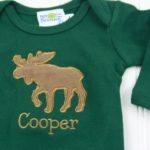 OPTIONS: You can order the outfit to have just the station wagon, or add a name, or initials- as you add the item to the cart.